The National Protective Services Institute (NPSI) is an institution of higher learning specifically structured to train students to attain the important education, training, licensing, and certifications needed to prepare them to work as a security professional. Potential directly related career possibilities for NPSI graduates include Security Operations, Personal Protection Operations, Security Management, Loss Prevention, Investigations, Anti-Terrorism, Homeland Security, Corrections, Law Enforcement, Emergency Management, the Military, and more. Whether entering a career with a local security company or in the highest levels of government, our programs are designed to get you started and keep you going in the right direction. The protective industry is one of the fastest growing industries in the world, and the need for high quality, trained personnel in government and private positions grows in proportion to the growth of the industry. Unfortunately, many private companies are out of business within a few short years due to management's inability to run them properly. Many people start security companies because they simply see it as a way to make money; however, they are not security "professionals." This situation is tragically unfair to employees, and more importantly, dangerous to the general public. Many other security companies are unsuccessful because the business owner is uneducated about running the business itself. NPSI programs provide an avenue to address these issues. Graduates are fully trained as practitioners, and well-versed in the appropriate business management applications. Of principal importance is the cultivation of security-related intellectual curiosity and accomplishment in an atmosphere of academic freedom. In addition to extensive management training, NPSI programs also train students to be subject matter experts in the field of security operations. Although there are many security programs in existence that train students to be front-line operators, none match that provided by the NPSI. 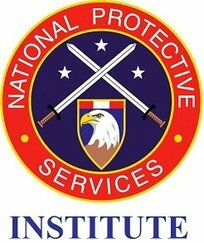 The National Protective Services Institute is a non-profit corporation offering Certificate and Advanced Certificate programs in Security Management. The main campus is located in San Antonio, Texas, in the United States. Currently, the NPSI is licensed by the Texas Department of Public Safety Private Security Bureau to provide state-regulated security officer training and continuing education. Academic programs are provided via synchronous distance learning (online). NPSI will be the institution of choice for anyone seeking professional protective services education and training; where teaching is purposeful, learning is powerful, and the future is secure. NPSI is the premier college for protection education and training. The motto, “Learn Today So That You May Live Tomorrow” is self-explanatory. The word "Honor" reminds all stakeholders to live honorably in all facets of their lives. The mission of the National Protective Services Institute is to offer programs, services, and instruction that provide students the ability to become leaders in the professional protective services field. We will strive to fulfill this mission while satisfying prevailing state and federal laws. The programs are designed to meet the strict guidelines of the Texas Workforce Commission Career Schools and Colleges, the Texas Higher Education Coordinating Board, multiple accreditation agencies, and laws of the State of Texas. NPSI was incorporated as a non-profit corporation in the State of Texas in 2010, with a goal to eventually become an academic degree-granting institution. Since its inception, NPSI has provided a multitude of classes in the protective field, concentrating primarily on law enforcement, security, emergency response, and personal defense training. As a non-profit, NPSI has provided numerous classes to “give back” to the community, including free or low-cost first aid training, active shooter training, human trafficking awareness classes, and self-defense and assault prevention classes. While in operation teaching these training classes, the concurrent development of the academic Certificate Programs, Associate of Arts Degree, and Bachelor of Arts Degree in Security Management program was taking place, with plans to start offering online classes in the Spring of 2016. Future ambitions include the establishment of a residential education program located in San Antonio, Texas, with degree programs in Security Management, Emergency Management, Criminal Justice, Anti-Terrorism, Cyber-Security, and Homeland Security.